“On Wednesday, March 12, The Partisan debuts its reincarnation of the meat-centric restaurants that long dominated the dining scene in Washington. 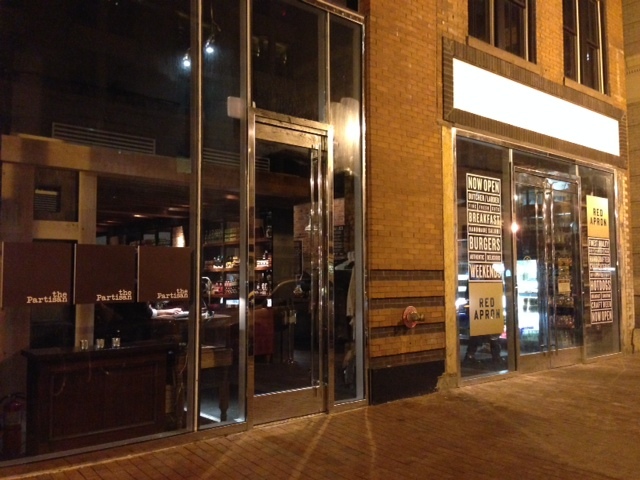 The Partisan is both physically and conceptually joined at the hip to Red Apron butcher shop, which opened just two weeks ago in Penn Quarter. 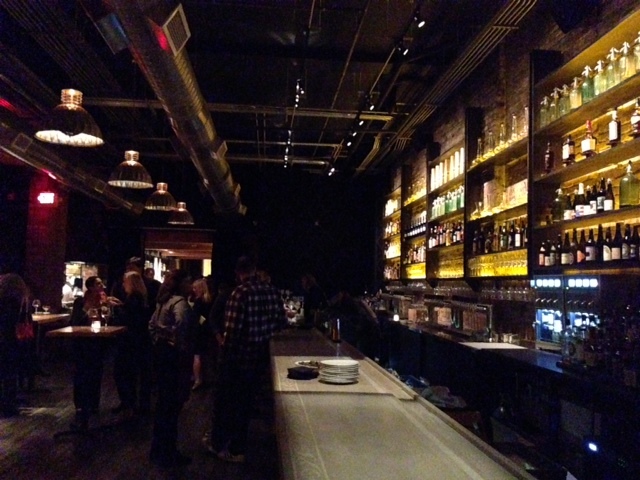 The 100-seat restaurant and bar is a collaboration between Nathan Anda and Chef Ed Witt, who blend a whole-animal butcher sensibility and old world techniques with modern American cooking. Underpinning The Partisan’s menu is a tireless commitment to sourcing that is at the core of Red Apron’s operation. All of the meats served at The Partisan are sustainably raised –many by local farmers that work with Red Apron exclusively and are Animal Welfare Approved. Guests are encouraged to begin with a sampling of Nathan Anda’s handmade charcuterie products presented in the form of a check-the-box, a la carte menu. The rotating selection of approximately 30 items are broken in to flavor categories such as bright, spicy hot, smoky, rich & smooth, herbal & floral, etc. 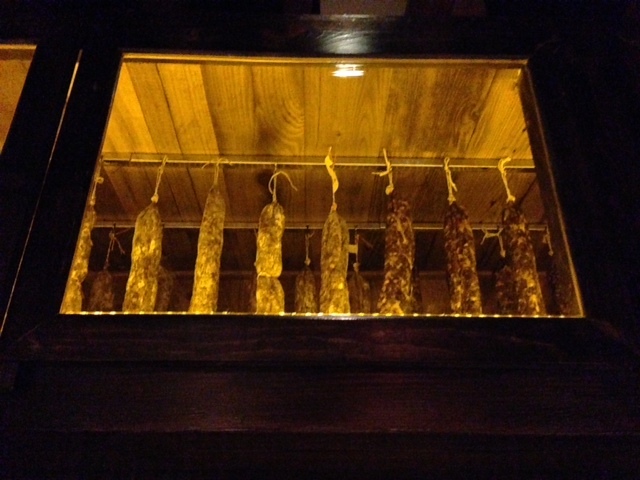 and cover a wide variety from dried salamis, pates, and rillettes to smoked sausages and 15 month-aged culatello. All charcuterie boards are served with freshly baked tigelles and accompaniments. The Partisan’s main menu eschews traditional order-by-course offerings and is instead broken up by source or animal (beef, poultry, pork, and fish). Each section is composed of dishes in a range of portion sizes, aimed at encouraging sampling and exploration. The opening menu includes dishes such as Bolognese, with housemade pasta, guanciale and heart ragout, and lard toasted breadcrumbs; Braised Spanish Octopus with tomato, oregano, and fingerling potatoes; 120 Day Dry Aged Beef Carpaccio; and Corned Beef Belly with braised cabbage, grated pumpernickel, and pickled mustard seeds.The dishes range in size from small to medium and can be complemented with salads, slaws and vegetable sides. Some select items are designed for the table to share, such as the Roasted Pig Head served with salsa verde, pickled peppers, and arugula & pig ear salad; the Rotissi-Fried Chicken, a brined and rotisseried chicken that is deep fried and served with honey hot sauce; and the Bollito Misto, a stew of cotechino, smoked heart, belly, pickled tongue, pork bone marrow and tenderloin with calabrian aioli. To offer a touch of sweetness to the meal, Pastry Chef Tiffany MacIsaac has prepared creative twists on nostalgic favorites like the Snicker’s Terrine with peanut butter cheesecake, peanut caramel and chocolate glaze; Lemon Meringue Pie, a meyer lemon eclair, with torched swiss meringue and graham cracker crumbles and Fried Apple Pie with bacon, caramel, graham crumble, candied pecans and vanilla bean ice cream. A chef’s favorite the Fernet Ice Cream Float with ginger beer, lime zest, Fernet Branca ice cream and ginger molasses cookies is also a tempting finish. On the beverage side, The Partisan is tapping the talents of a dream team of talented beverage experts: Brent Kroll, Jeff Faile and Greg Engert, making the 20+ seat bar a destination for wine, spirit and beer drinkers alike. With over 400 wines, Wine Director Brent Kroll’s wine program will go toe-to-toe with the encyclopedic range of the meats. The Partisan offers 50 wines by the glass and half-glass, including 25 on draft and eight wines preserved through Napa Technology preservation systems, which allow for the presentation of rare, mature wines by the glass and half-glass. Kroll’s relationships with wineries around the world has helped him create a list that is approachable yet eye-opening and that pairs well with the menu offerings. Beer Director Greg Engert has created a beer program featuring 17 drafts and over 50 bottles and cans that encompass his signature flavor profiles and aim to pair with the meat-centric nature of the menu. Though comprehensive, The Partisan’s beer program will specifically focus on Sour ales (seven draft sours and 16 bottles) and Saisons, two craft categories particularly suited to the Partisan’s menu. The rest of the list features the very finest and rarest kegs and cases available, from rare farmhouse ales to traditional lambic and highly coveted hoppy brews. 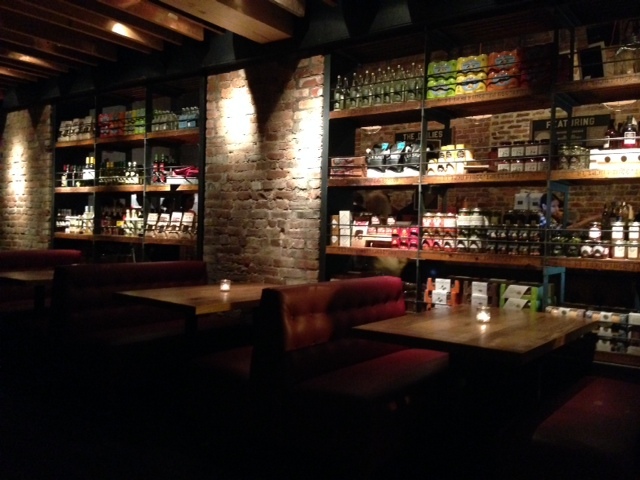 Finally, The Partisan bar benefits from the talents of Jeff Faile, one of Washington’s finest spirits specialists. To complement the menu at The Partisan, Jeff has created a menu of ten cocktails with selections like Sailin’ On, Overholt Rye, Cocchi Vermouth, Del Maguey Vida Mezcal, Chili Infused Averna and Chocolate Bitters; Cool Confusion with Plymouth Gin, Cocchi Barolo Chinato, Kina L’Avion D’Or; and Banned in DC with Del Maguey Vida Mezcal, Carpano Antica, Crème de Cacao, and Hellfire Bitters. Jeff has also procured specialty spirits that will be offered on draft, including Willett Pot Still Bourbon, Michters Rye, Amaro Nonino and Bittermen’s Bäska Snaps Malort.